Elena was born in Russia, where her first degree was in Agricultural Chemistry. She worked in the North Caucuses and Volga Regions of Russia for six years before taking an extensive travelling trip in Europe to study healing modalities in Germany, Belgium, Italy and Greece. She was inspired by the healing powers of combined Herbal Medicine with Hydrotherapy and Alkaline Diet. The German and Austrian healing systems were particular influential to her. Arnold Ehret, Louis Kuhne, Alfred Vogel, Father Sebastian Kneipp and Rudolph Steiner united utmost fundamental methods of treating dis-eases and, in her understanding, mediated the healing knowledge of the past generations. Elena completed BSc in Nursing at King’s College London in 2015 and has worked for Guy’s and St Thomas’ Trust since. She has been studying towards the Diploma in Acupuncture at the College of Naturopathic Medicine in London. She is qualified in Lymphatic Drainage and incorporates her knowledge of Naturopathic studies into her nursing and complementary practice. 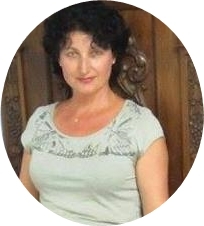 Elena strongly believes in empowering people to control their own health management in order to meet the challenges of electro-magnetic and chemical pollution, denatured food and the ever increasing stresses of modern life. Elena was trained by Anne-Lise Miller and is a member of the Association And Register of Colon Hydrotherapists (ARCH). 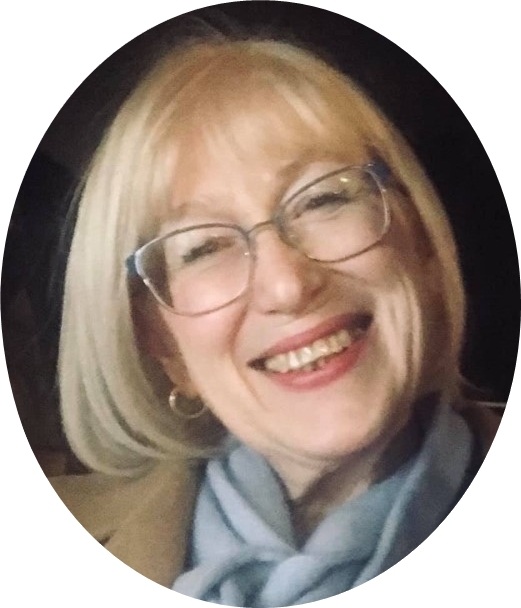 Having witnessed many seemingly extraordinary healing journeys, Elena is dedicated to helping people connect with their inner trust and self-healing power. Fatima's journey started after years of battling with her own health. Her interest for alternative and wholistic approaches led her to qualify in nutritional therapy in 2012 and Personal Training in 2016. Having gained much insight and improvements in her health from studying nutrition, it wasnt until she found herself once again in a downward spiral of comfort eating and poor health that she discovered the power of Colonic Hydrotherapy, Detoxification and Gall Bladder Cleansing. Her recovery and improvements in well-being were so rapid after embracing those aspects of wholistic health that they motivated her to study naturopathic Colonic Hydrotherapy with Anne-Lise Miller in early 2017. 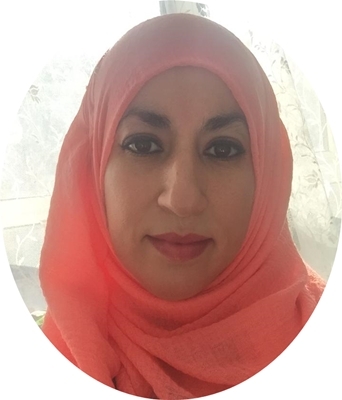 Fatima is a dedicated therapist who is particularly empathetic to the difficulties of maintaining a steady lifestyle when faced with health challenges and emotional stress. She is a valued team member who's measured and reassuring maners are particularly suited to Colonic Hydrotherapy. Fatima is a fully qualified Colonic Hydrotherapist, Nutritionist and Personal Trainer. 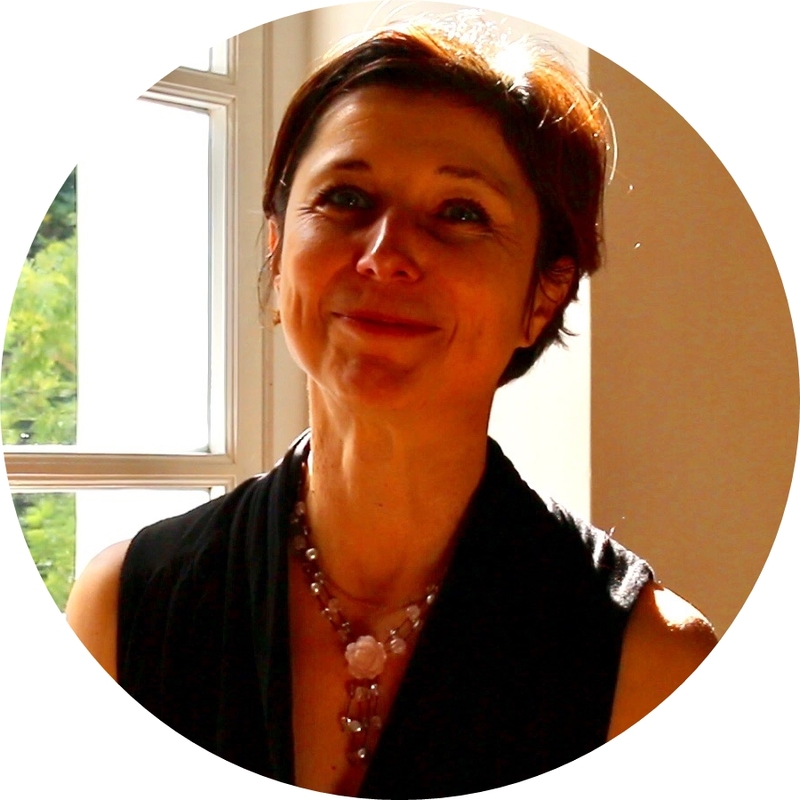 Originally a qualified Nurse, Vera has over 17 years experience as a massage practitioner and reflexologist. Vera is also qualified in Post Natal therapy and is atunned to understanding and supporting the needs of pregnant women. Her professional experience includes offering massage to children and adults with spine and nerve disorders and those in recovery from illness and injury. 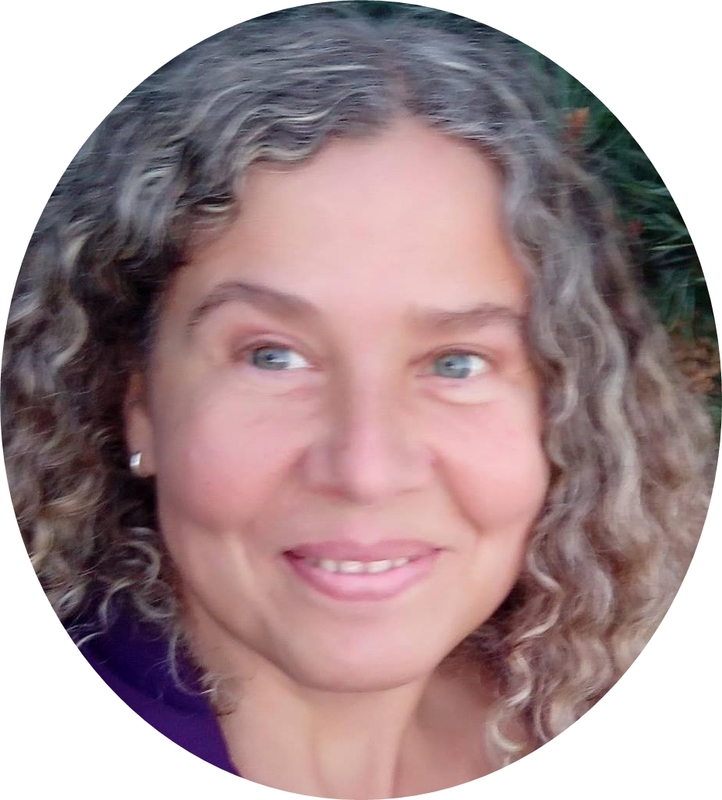 Tania is a "Awakening Women’s Sexuality" Coach, meditator, and certified Psychospiritual Counsellor. She specialises in working with women addressing birth trauma and sexual healing. After many years of training, research and clinical experience she has developed Craniosexual Therapy, an integrative method that releases trauma and shock, helping women safely heal their bodies, trust their intuition and restore their libidos. Tania is a highly intuitive and sensitive individual who has an innate sense of boundaries. This makes her work nurturing and uplifting whilst at the same time addressing core issues, trauma and behavioural patterns. Anna Larking trained as a diagnostic radiographer at the Middlesex Hospital in the 1970s. In 1996 she studied diagnostic ultrasound at City University while working as radiographer and sonographer in the multi-disciplinary team at the Royal Hospital for Neuro-Disabilities, delivering a holistic care to the most complex patients. During this time she was also a visiting lecturer at Hertfordshire University and sonographer at the Royal Marsden Hospital. Her training includes Shockwave Therapy which she learnt in Germany and can be applied to conditions as diverse as breaking kidney stones, healing wounds and chronic tendinopathies such as tennis elbow, plantar fasciitis, etc. Anna's clients have included sports professionals and members of a National Ballet Company. She is a highly regarded professional who has presented a number of papers at international conferences and published in peer's review journals. More recently she has been traveling to Spain and developed her skills to include Bio-Frequency Therapy. She is currently focussing her work and research on the remarkable healing potentials of Amino-Neuro-Frequency (ANF) a type of Bio-Frequency Therapy which is particularly well suited to address the complexity of chronic conditions involving pain, weakness and fatigue. Dr. Deng graduated from Guangzhou University of TCM in 1982. After working on medical research in China, she moved to London and has been in practice here since 1988. Her work has attracted a considerable amount of media attention, recently featuring in the London Evening Standard, Hello! magazine and several other publications. Jennie is an enthusiastic body-work therapist. She gained her first qualification as a physiotherapist in 1970 from the Croydon School of physiotherapy and osteopathy. Before becoming a Rolfer in 1990, Jennie studied many other therapeutic modalities including: Reiki, Reflexology, Acupressure, Tisserand Aromatherapy, Nutrition, Bowan, NLP, Hypnotherapy and Scaner therapy. She holds a Diploma in Natural Therapies, from the Rayworth Centre. Jennie qualified as one of the first Advanced Rolfer in1996 and became a Rolf movement practitioner in1997. Rolfing is her passion as is the intricate relationship between the body and the mind. She has studied with Peter Levine and Angwyn St. Just and is trained in "Somatic experiencing" sometimes refered to asTrauma Work. She has studied extensively with the visionary French Rolfer and movement teacher Hubert Godard and continues to do so on a regular basis. Olga Raybould, born in Moscow in 1952, has always held a true passion for art, mainly painting in watercolor and acrilic with a focus on landscape and still life. Graduating from Moscow University in 1973, she worked as a construction engineer until moving to London in 1994 where she attended art school. She graduated in Fine Art in 1976. Since moving to London she was featured in several art exhibitions including in 2016 and 2017 the prestigious Hornchurch Theatre exhibitions. 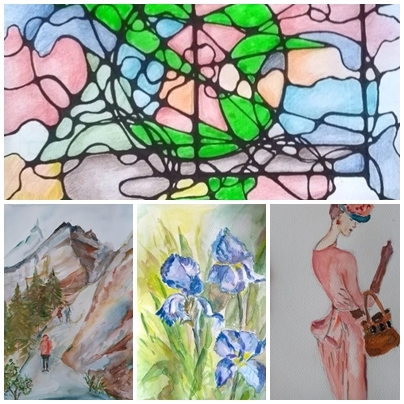 She is currently studying Neurographic Art and developping how to use art to connect conscious and subconscious mind in graphical form. This is the technique she applies on the Weekend Detox Retreats to help participants gain creative insights into personal issues.